How to even begin reviewing this incredible book? Children of Blood and Bone wasn’t just gorgeous…. It was GLORIOUS. The immersive world is so full and vibrant, and the characters’ internal and external conflicts were explored with so deeply and realistically. I loved how thick it was and the large range of emotions it brought me: fear, anger, hatred, love, and justice. Y’all better pick this up for one for the most divine YA fantasy. The book follows the legends and gods of Orïsha, a land that used to be scattered with different maji who could control the elements based on their god. But with this power came violence and rebellion, and eventually a small group of maji took their powers to try to reign over the people without magic. This led to the people without magical potential, or kosidán, to start their own hunt to get rid of maji. Eleven years ago, the maji lost their powers and could not defend themselves, leading to a huge massacre known as the Raid that left the maji dead and their children lost. 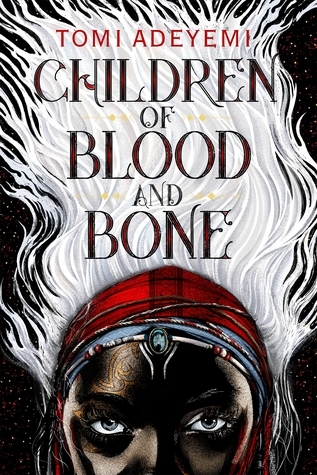 Children of Blood and Bone follows the first person POV of several characters: Zélie, a divîner with the potential to become a maji if only the gods gave back magic; Inan, a conflicted prince who grew up listening to and learning his father’s prejudice against the magi; Amari, the princess that tries to help the divîners re-discover their hidden powers. The world is written so well, and there are numerous settings that make for an incredible journey for these characters. They travel through the tangled jungles, dry deserts, expansive seas, and tall mountains of Orïsha. Adeyemi also writes in beautiful Yoruba chants of the maji, creating a wholly immersive world that readers want to stay in. “Sky Mother chose me. Used me. Took me away from everything I loved. She can’t abandon me like this. My heart goes out for Zélie, who has gone through so much. She saw her mother getting killed and her father abused during the Raid as a small child. She also has the potential to become a Reaper, a maji with the power to control life and death. (SO COOL) My favorite part of Zélie was her conflicting emotions of hope and despair. She’s just so… real, considering what she has gone through. Some events make her feel resilient and ready to battle against the tyranny of the king, while others give her a sense of defeat and failure. These emotions are written so raw and real, she practically came out of the pages. Despite her powers, she has weaknesses and is not afraid to show it – especially in terms of her capricious and reckless nature. I loved seeing her sibling relationship with Tzain, her brother. I’m surprised he didn’t get a POV in this book but would really like to see one. He’s the older brother who’s used to cleaning up Zélie’s messes. But their love and bond for each other are strong and fierce. She has a developing friendship with Amari despite her initial distrust of the noble girl, and even a hate-to-love romance with the crown prince Inan even though he’s out for her blood. Things change when his big secret is revealed, though. “That is the type of kingdom I want to lead. Inan is also a character full of doubts and hidden weaknesses. Raised by his vengeful father, Inan hates all things maji. But what happens… when he discovers that he himself has powers? This is a scary moment for Inan as he treats his magic like a curse and virus. But his interactions with other divîners bring a gray side to his originally black-and-white world. He’s constantly caught between the duty of his crown and the interests of his heart. Within these interests of heart also encompasses his burgeoning romance with Zélie, who he originally seeks out to capture and kill. This hate-to-love romance also comes with a forbidden aspect, as he is nobility in contrast to Zélie’s fugitive status, as well as a slow-burn as both characters learn more about the other and their own sufferings. Let’s just say Inan’s character was… a wild card. He’s volatile and aims to please his father, but also wants to create a better Orïsha. He just doesn’t know how, especially after finding out about his own magical abilities. Amari is sweet and meek in contrast to her take-action brother, Inan. But throughout the story and her own self-made adventure, she starts seeing her own strength and the difference she can make. I loved her character arc so much and the way she goes from privileged and sheltered princess (even as there was no love in her life) to someone fights for what she believes in and is surrounded by people who care about her and love her for the way she is. She has a delicate relationship with her brother, as they were raised in a cold family. There is also a very small romance – again slow burn – with Tzain, who has a big heart and unwavering loyalty. Adeyemi writes the world of maji so well and so beautifully. Her exploration of the power of magic and fear of safety is so touching and raw, especially when she manages for readers to see through the thoughts of both sides of the conflict. The discrimination against the divîners are gutting to read sometimes, but also so necessary. Despite the failures, the drawbacks, and the obstacles, our characters stay strong and true. There’s a cliffhanger ending (a killer one at that) that continues the continuous action of the book and IT JUST MAKES ME WANT THE SEQUEL SO MUCH. TAKE ME. Fantasy readers cannot miss the Legacy of the Orïsha series. ALSO, I CANNOT WAIT FOR THE MOVIE TO DEVELOP. MY EYES ARE ON YOU! 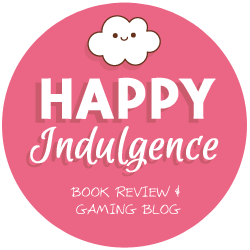 Thank you Macmillan and Netgalley for the review copy! I have to say, I was already quite hyped about this title, hearing all the praise from the bookish community, but you wrote such a brilliant review here, I regret that I can’t have a copy right this second to read it ❤ I especially love how you described Zelie's character and her relationship with her brother – I feel like I'm going to love her and that relationship SO MUCH. You’re gonna love this one Marie! I can’t wait to read this one! Great review! AHH I have been putting off reading this book because I was afraid that it wouldn’t live up to all the hype but now that I know you love it, I will push it back up my TBR! I’m not a huge fantasy person generally speaking, but the hype around this one is so huge I think I will have to make an exception for it. I think multiple POVs are tricky to pull off, but it sounds like Adeyemi does it really well. Amazing review! You always make me want to read everything! ASDFGHJKL I’M SO EXCITED THAT YOU LOVED THIS!!! I just had this reserved at my local bookstore–hopefully I can pick it up sometime next week. ❤ I'm most curious about Inan… Can't wait to meet him and the rest of the cast!! Awesome review as always, Aila! This book definitely sounds so promising!! I am so adding this to my tbr! Loved your review! Thanks so much Poulami! ❤ Hope you enjoy! I was amazed by this book!! 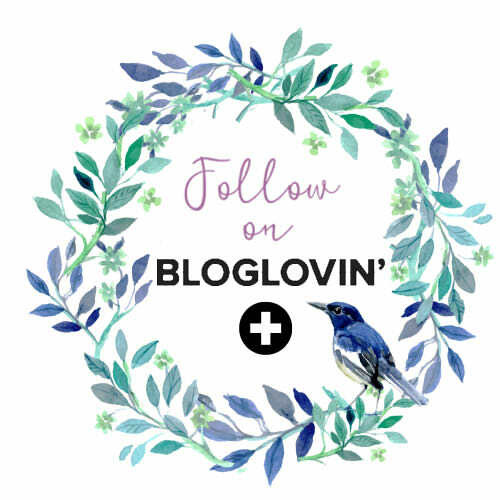 For a debut novel it was amazing and I am recommending it to all my fellow booknerds hehe And I completely agree with you – The magic system is so different but I think that was what made it so captivating! And yes that ending . . . I was shook!!! Must have sequel!!!! Great review by the way! SO HYPE FOR THE MOVIE TOO!